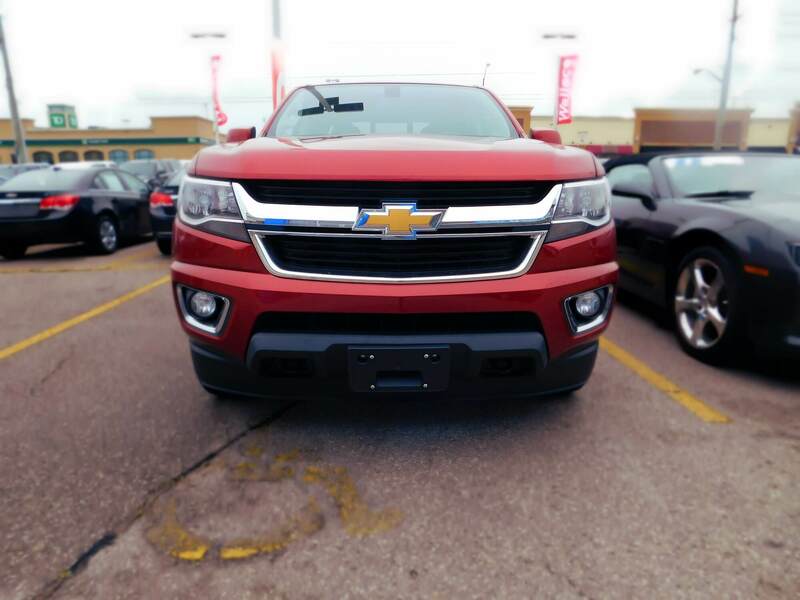 Wallace Chevrolet > Chevrolet > The 2016 Chevrolet Colorado Has Arrived! 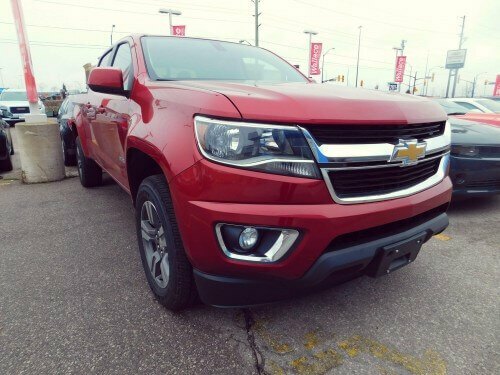 The 2016 Chevrolet Colorado Has Arrived! VIDEO: 2016 Chevrolet Colorado LT Crew Cab! the new Colorado definitely looks the part with an aggressive yet purposeful exterior. The Chevrolet Colorado (and it’s twin the GMC Canyon) mark GM’s return to the midsize truck segment. Reintroduced earlier this year, the new Canyon & Colorado provide a more agile and economical alternative to a fullsize pickup. But don’t be fooled! These new trucks are more than capable of hauling with ease. 2) What’s Under the Hood? Optional 3.6L V6 producing 305 hp (@ 6800 rpm) & 269 lb-ft of torque (@ 4000 rpm). It provides best-in-class towing and payload! It’s even available with a 2.8L Duramax diesel engine with 181 hp (@ 3400rpm) & 369 lb-ft of torque (@ 2000rpm), which will be available early next year. It’s officially the most efficient pickup ever! 4) What Are The Specs? Colorado is available as in three trims (WT, LT & Z71) as a 2WD or 4WD vehicle and can trailer a maximum of 7,000 lbs. 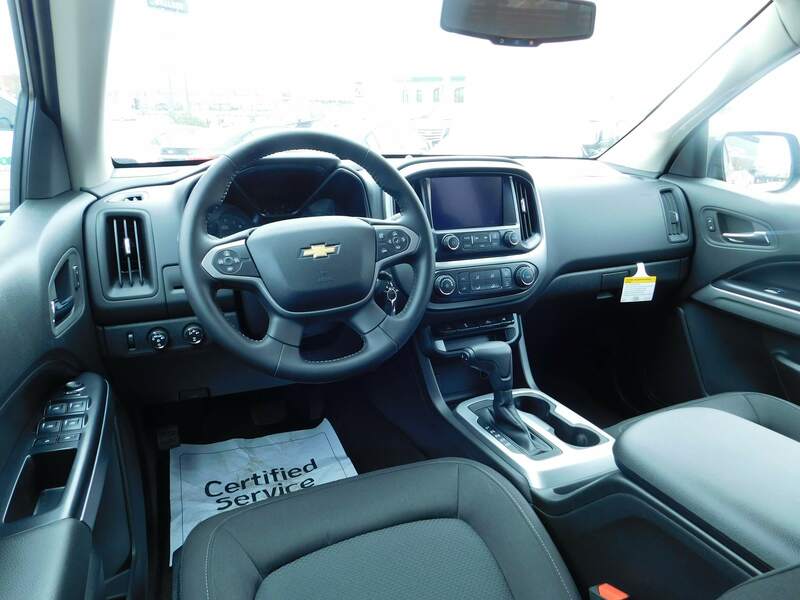 It also features a review view camera, OnStar’s 4G LTE Wi-Fi hotspot and Apple CarPlay/Android Auto phone connectivity system as standard! Plus, an available 8-inch MyLink touchscreen with a rich display puts everything you need at your finger tips. 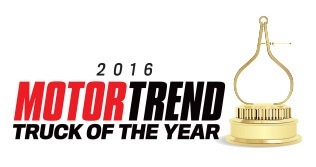 The Canyon/Colorado took home the Ward’s 10 Best Interior award in its first year on sale! 5) What Else Should I Know? , it’s no wonder the new GM midsize twins are taking the truck world by storm!